Phone authentication mechanisms have come a long way from passwords and pattern locks to fingerprint readers, iris scanners, and face unlock. They certainly won’t stop there. 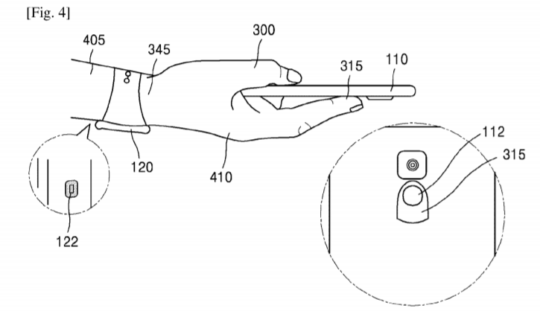 Samsung’s new patent envisages an authentication system based on a user’s blood flow pattern. The patent application titled ‘Real Time Authentication Based on Blood Flow Parameters’ was filed in July 2016 in the US. 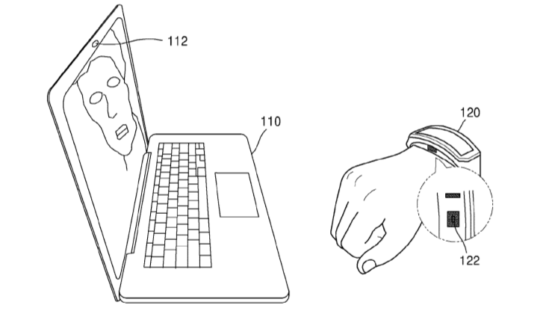 The patent describes a method to identify users based on blood flow patterns in their fingers or wrists using sensors in smartphones and smartwatches. According to the patent application, it is possible to authenticate users based on their blood flow patterns as ‘the arterial conduction paths of different users are almost never identical’. Sensors in a smartphone or a smartwatch can thus collect data from different blood flow points to identify the users based on data patterns that are unique for every user. If the patent works as described in a safe and reliable manner, then this new authentication method could be a nice addition to Samsung’s smartwatches. Since Samsung smartwatches can be used for Samsung Pay, an authentication system which doesn’t require any additional steps other than wearing the watch on your wrist is a big step forward in terms of simplicity and convenience. This new authentication system can be an interesting addition to smartphones as well. Imagine a Samsung smartphone with embedded sensors that can authenticate you without making you place a finger on a scanner or looking into an iris scanner. While the patent sounds innovative and useful, it is worth pointing that not all patents turn into actual products or features. Reasons could vary anywhere from technical challenges to cost considerations. So, while all of this sounds interesting, there’s no guarantee that Samsung will ever bring this to market. So if i am high i can’t use phone? ? So when it’s cold and the blood drains from my fingertips, I guess I need to remember my PIN? Where is daily recap ? We stopped with our Daily Recap.